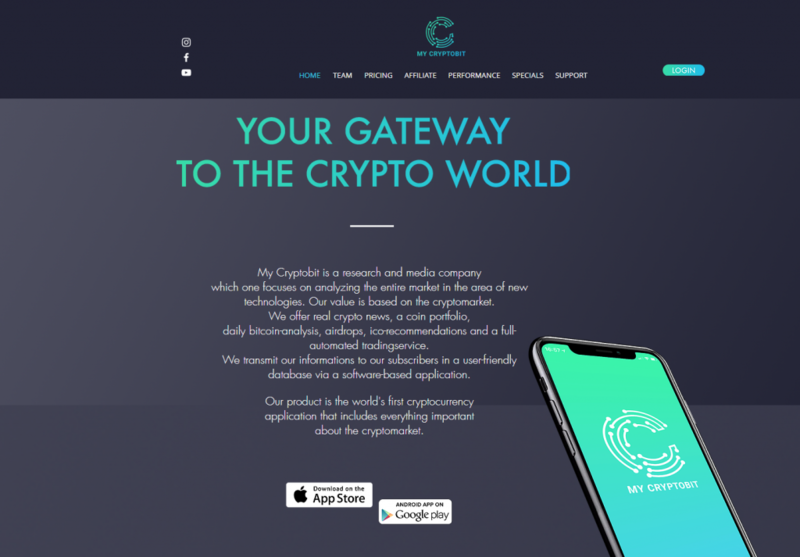 > REVIEWS > Mycryptobit Review: Is mycryptobit.io Trustworthy? My Cryptobit Review: What is Mycryptobit? Mycryptobit is actually a research and media company which claims to have researched new technologies for investing. From their name ‘Cryptobit’ one could see they are specially interested in cryptocurrencies. This company supposedly offers a wide range of services which include Crypto news, Coin portfolio, daily Bitcoin analysis, airdrops, ICO recommendations and a full automated Crypto trading service. According to alexa.com, this website is ranked 378,704 in the world and has it visitors mainly from Germany. 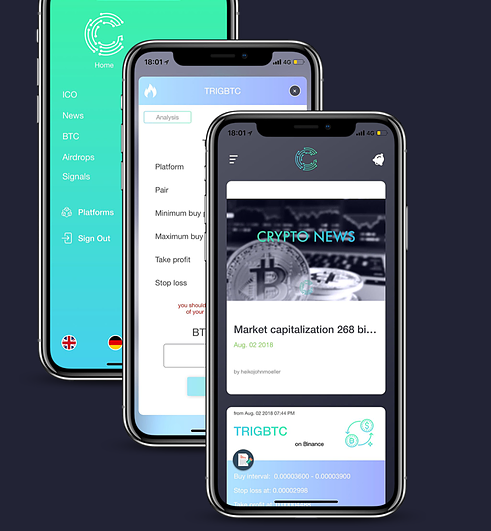 They claim they are your gateway into the crypto world their product is the world’s first cryptocurrency application that includes everything important about the cryptomarket. They also run an affiliate program and their commission is dependent on levels. Mycryptobit.io offers a power packaged App which it claims to be one of its kind. You can download their app for free and use their free tools. But for you to unlock the Paid features on the app you need to become a full member of my cryptobit and this could only be done by subscribing for any of their three packages: 3 months-$500, 6 months- $900 and 12 months-$1,500. Inasmuch this app seems to be offering mouth-watering packages, we have reasons to doubt their legitimacy. First and foremost, they are an anonymous lots, and we know zilch about them. It is true that they have a page that is dedicated to their supposed team members. ÖZCAN KÖME is listed as the CEO. But this information is fictitious since none of these so called professionals have LinkedIn profiles where we can check them out, we believe the pictures were gotten from stock photos. Secondly, they claim in their ‘coin portfolio’ that their experts would guide us when to ‘take the bag of coin’ but they are not licensed to provide investment advice. Thirdly, their packages are quite expensive and it is quite alarming that there is no past performance on the website to help the public determine whether to subscribe or not. Finally, what they published as their trading result is unverifiable information, we can’t tell if they have been tweaked or not. From what we mentioned above, a lot of things don’t seem right with mycryptobit.io. 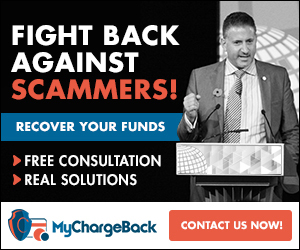 Recently, some people have hinted that it is a ponzi scheme, and based on our investigation, chances are high that there is a ponzi scheme business model behind it. We advise you to stay away till those behind it address the issues we mentioned above.